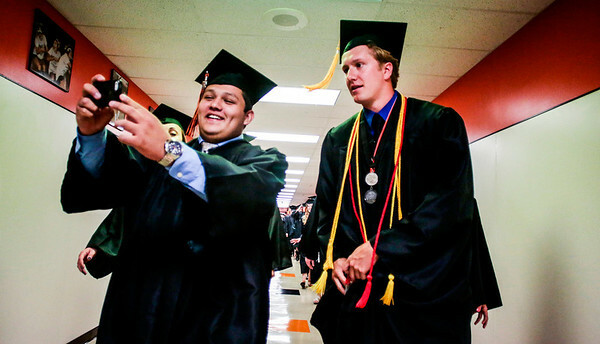 Kyle Grillot - kgrillot@shawmedia.com Carlos Elizarraraz (left) takes a self portrait with Luke Francis while walking into the gym for the Crystal Lake Central High School commencement Saturday, May 31, 2014. 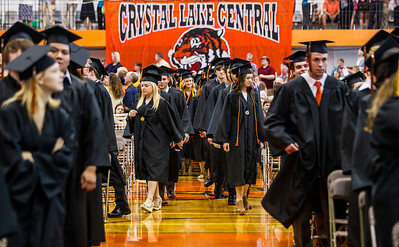 Kyle Grillot - kgrillot@shawmedia.com Graduates enter the gym before the start of the Crystal Lake Central High School commencement Saturday, May 31, 2014. 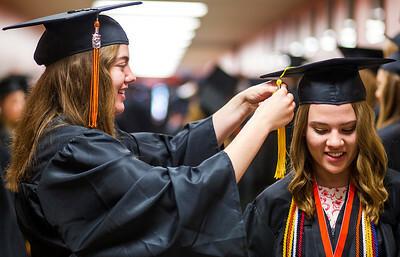 Kyle Grillot - kgrillot@shawmedia.com Graduates Stephanie Dwyer (left) helps Teresa Davies with her cap before the start of the Crystal Lake Central High School commencement Saturday, May 31, 2014. Kyle Grillot - kgrillot@shawmedia.com Master of Ceremonies Ben Peters introduces the valedictorian during the Crystal Lake Central High School commencement Saturday, May 31, 2014. 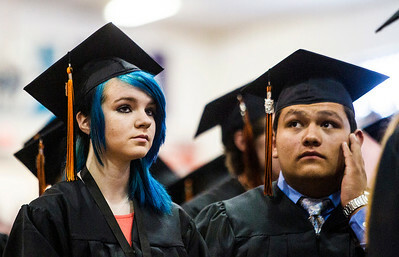 Kyle Grillot - kgrillot@shawmedia.com Graduates Ellie Edfors (left)s and Carlos Elizarraraz looks around the crowd before the start of the Crystal Lake Central High School commencement Saturday, May 31, 2014. 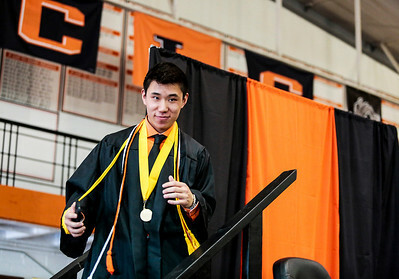 Kyle Grillot - kgrillot@shawmedia.com Valedictorian Kyle Iwamoto exits the stage after his speech during the Crystal Lake Central High School commencement Saturday, May 31, 2014. 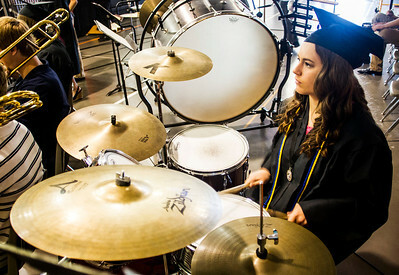 Kyle Grillot - kgrillot@shawmedia.com Skylar Buetow plays drums with the band during the Crystal Lake Central High School commencement Saturday, May 31, 2014. 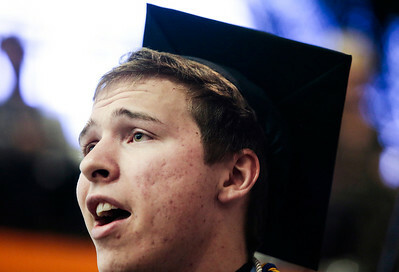 Kyle Grillot - kgrillot@shawmedia.com Graduate Ryan Moore performs "Circle of Life" with the choir during the Crystal Lake Central High School commencement Saturday, May 31, 2014. 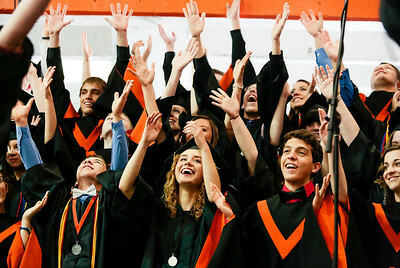 Kyle Grillot - kgrillot@shawmedia.com The choir celebrates after performing "Circle of Life" with during the Crystal Lake Central High School commencement Saturday, May 31, 2014. Kyle Grillot - kgrillot@shawmedia.com Graduate Courtney Hancock returns to her seat after receiving her diploma during the Crystal Lake Central High School commencement Saturday, May 31, 2014. Kyle Grillot - kgrillot@shawmedia.com Teacher Paul Brandwein (left)( watches as his mother, administrator Lorrie Brandwein, hugs her son Jake while he receives his diploma during the Crystal Lake Central High School commencement Saturday, May 31, 2014. 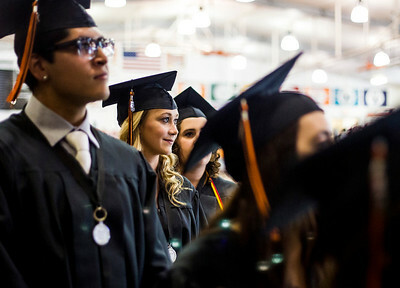 Kyle Grillot - kgrillot@shawmedia.com Graduates, including Natalie Lunzer (center), wait to walk across the stage during the Crystal Lake Central High School commencement Saturday, May 31, 2014. 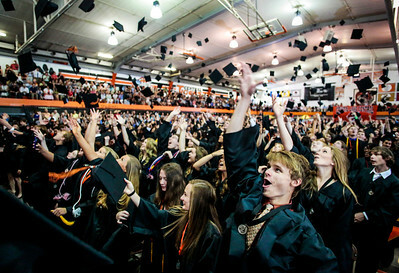 Kyle Grillot - kgrillot@shawmedia.com Graduates, including Scott Benhart (right, throw their caps at the conclusion of the Crystal Lake Central High School commencement Saturday, May 31, 2014. 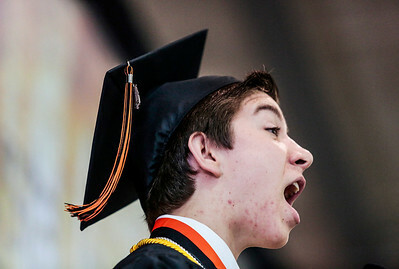 Master of Ceremonies Ben Peters introduces the valedictorian during the Crystal Lake Central High School commencement Saturday, May 31, 2014.